The Wooden Camera Quick Cage for Medium DSLR Camera is a quick-release, height-adjustable cage that fits medium DSLR cameras like Canon 5D Mark III, Canon 6D, Nikon D810, and Nikon D7200 cameras. It attaches via one low profile screw on bottom and a shoe pinch on top. This design gives you mounting points on the top and side while leaving open all of the camera's vital controls on the right grip and the left side easily viewable and accessible. Fold out LCD screens can be positioned easily, and the eyepiece can be utilized while the Cage is attached. 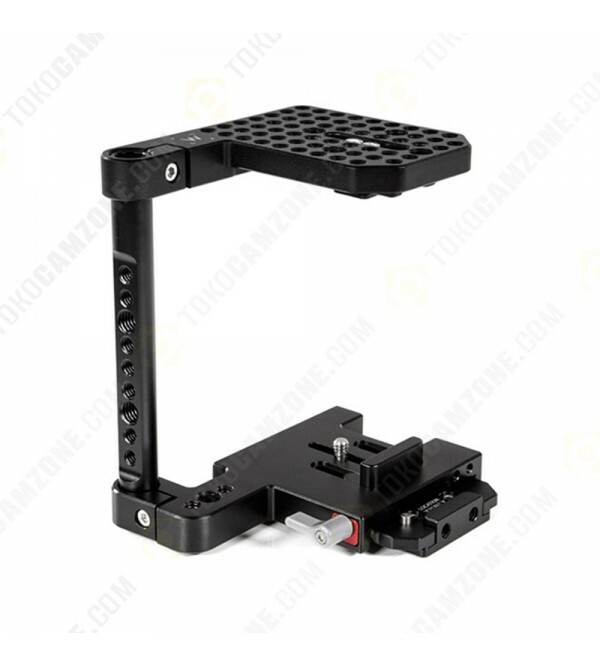 The Cage includes a quick release dovetail which can attach to tripod plates or existing 15mm support bases.